A welcome addition to the neighborhood, an attractive and state of the art Burger King, just celebrated its grand opening last month in St. Albans, Queens, New York. 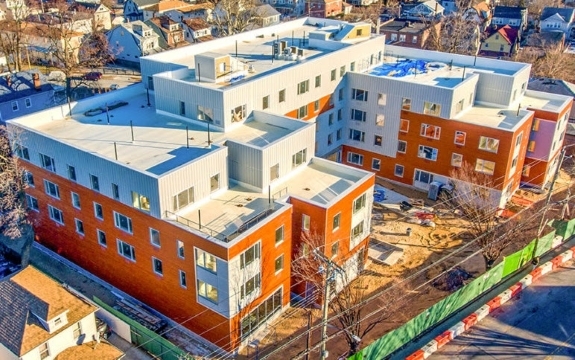 It was constructed on an old vacant lot in the area for decades. 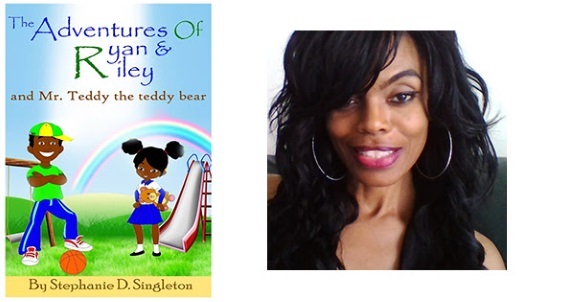 Nationwide -- The Adventures of Ryan & Riley and Mr. Teddy the Teddy Bear was written for school-aged children while supporting parent's efforts in maintaining a positive environment for children while living in today's society. Labels: New Black Children's Storybook and Upbeat Theme Song. 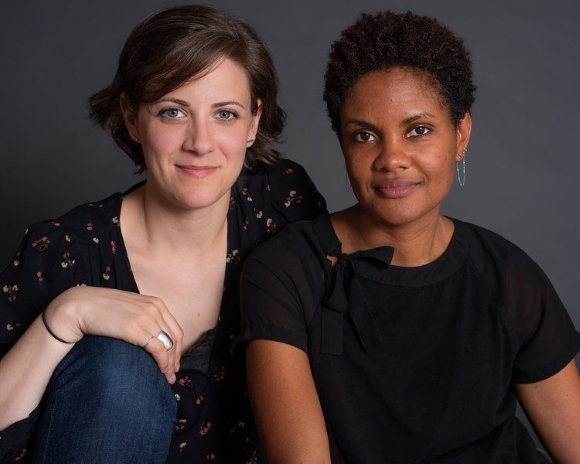 See Why These Natural Birth Coaches Or Doulas Team Up To Pen "The Essential Guide to Postpartum Support"
New York, NY - Four years ago, Naima Beckles and Michele Arrieta, joined forces and started, For Your Birth, a doula agency based in Harlem. With increase postpartum complications, guilt, concerns and letters from mothers, For Your Birth, recently created, The Essential Guide to PostPartum Support, (an ebook for $4) available exclusively online at www.foryourbirth.com. The mission at For Your Birth is to lovingly educate families and mothers about the journey and stages of childbirth, pre, and post. The real work begins once the baby is delivered and mothers are in a fragile state mentally, spiritually and physically. "Mothers must trust and rely on their voice, body and support team to ensure a successful pregnancy, delivery and at home care. Doulas are a second set of eyes, ears, and support. We hope that our guide will navigate and answer a mother’s questions post-delivery, about her baby, body, emotions. Simultaneously, using our checklist to assemble a dynamite support team for wellness," states Beckles. Labels: Black Doula Pens Essential Guide to Postpartum Support. Nationwide -- Macon, Georgia has a soulful musical history decorated with the Otis Reddings, Little Richards, Randy Crawfords and James Browns. And then there was silence and the world wondered if the thrill was gone. 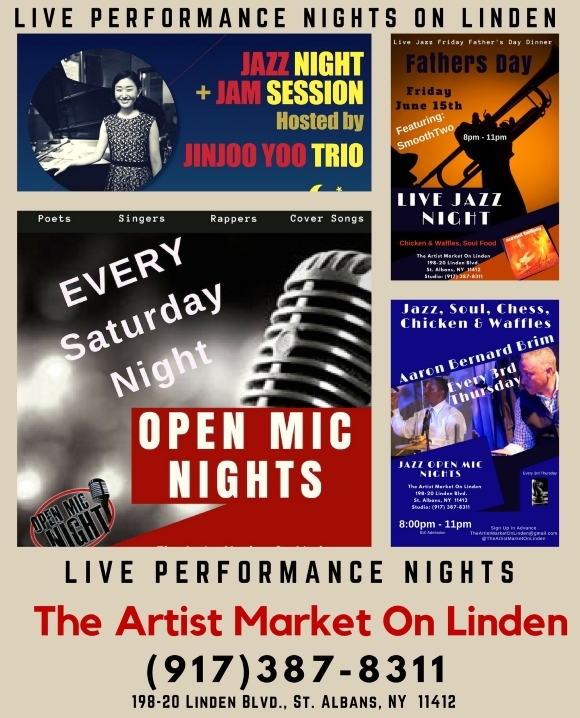 The magic never left, as different genres took center stage marketed themselves as something new, soul awaited the right time to present something special. Eventually, cream always rises to the top. The unique Macon, Georgia Soul Food entree is back on the menu. 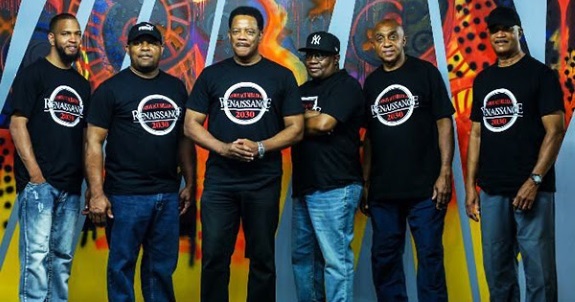 The legendary city of soul music is on fire. Chicago, IL -- Motivate Moms LLC is helping schools increase family engagement, one parent at a time. On June 4, 2018, the new business concluded its first year in operation as the most successful of over 60 programs in Calumet Public School District 132. Labels: Motivate Moms LLC Empowers and Uplifts Parents. Nationwide -- One of the biggest reactions to our nation’s current administration has been a rise in entrepreneurship attempts particularly among African Americans. 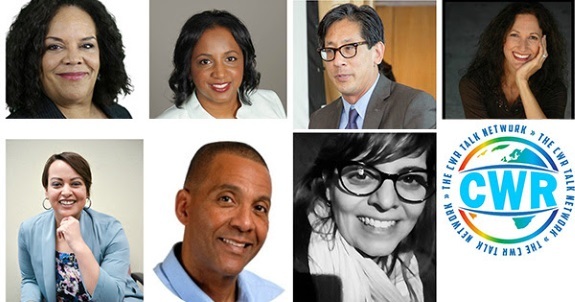 A 2016 study in Babson College's Global Entrepreneurship Monitor, found black business owners are creating businesses at a higher rate than their white counterparts and other minorities. 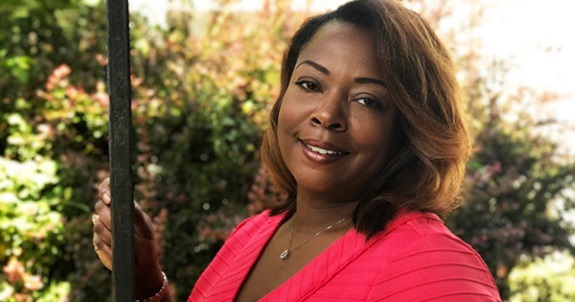 While black entrepreneurs are eagerly attempting start-ups, the Babson study also showed their businesses fail at a much higher rate and ultimately "don't stick around as long" as their entrepreneurial counterparts. Economic activist and best-selling author Professor Devin Robinson studies these trends, but realized there were additional variables lending to the failure of African American entrepreneurs that were omitted from present research. 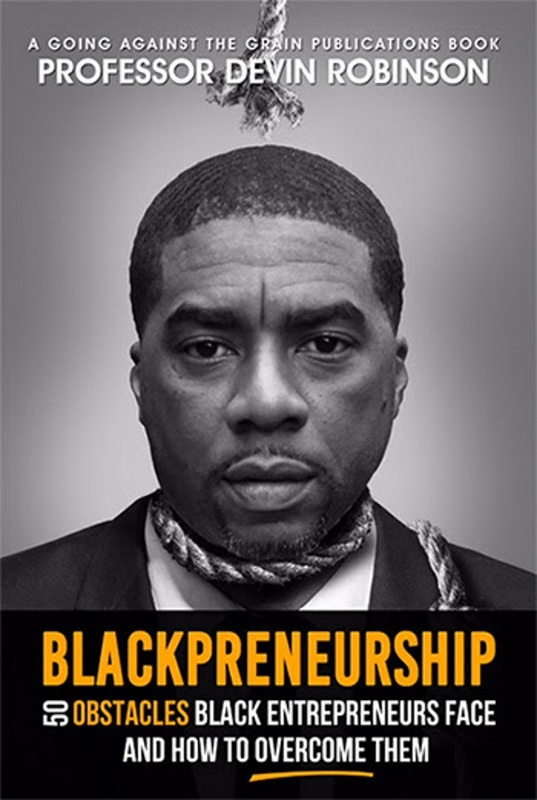 He comments, "There are a unique set of rules black entrepreneurs are forced to play by. When these rules are not understood and mastered, black entrepreneurs can find themselves coming up short of business success. Blacks must first master black entrepreneurship before we can expect to conquer entrepreneurship." He also cited that, "Black entrepreneurs lead the statistics of CEOs of one-man companies", companies where they are the only employee." Labels: Black Entrepreneurs, Cultural Obstacles Revealed. New Orleans, LA -- Proven independent production company, JeTi Films, premieres their new original anthology detective series, Tales from the Murder Room, available today for streaming on Amazon Prime. 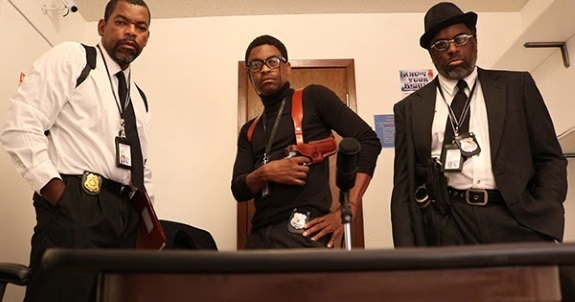 Labels: New Black Detective Series Streaming on Amazon Prime. 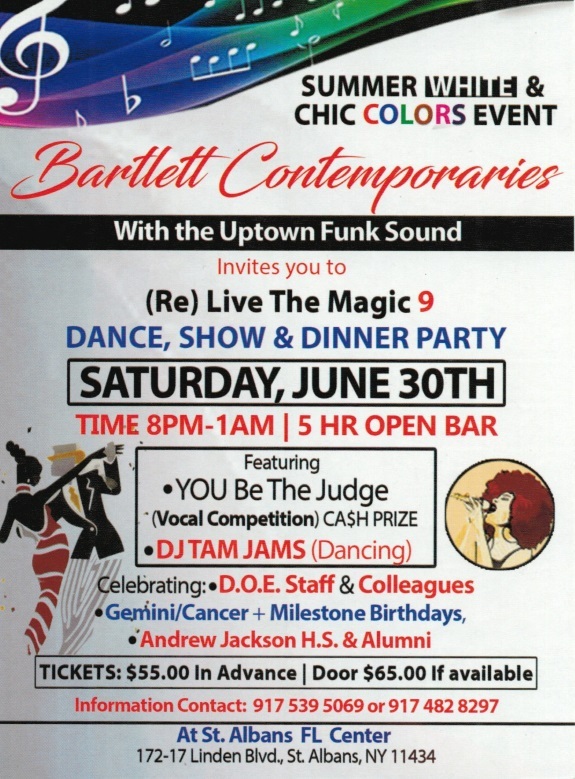 Bartlett Contemporaries with The Uptown Funk Sound invites you to our Summer (Re) Live The Magic Reunion Party 9. Labels: Bartlett Contemporaries: (Re) Live the Magic 9. The story of how the novel “Mrs. 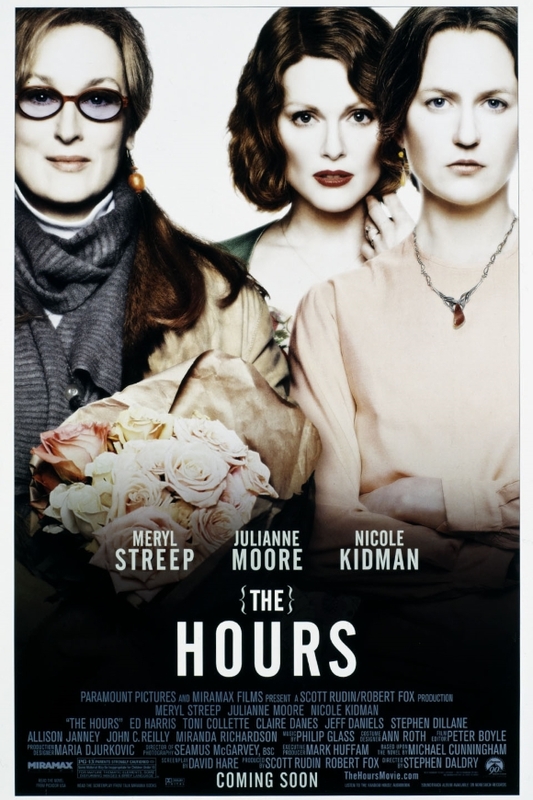 Dalloway” affects three generations of women, all of whom, in one way or another, have had to deal with suicide in their lives. Create your own digital music and sounds! 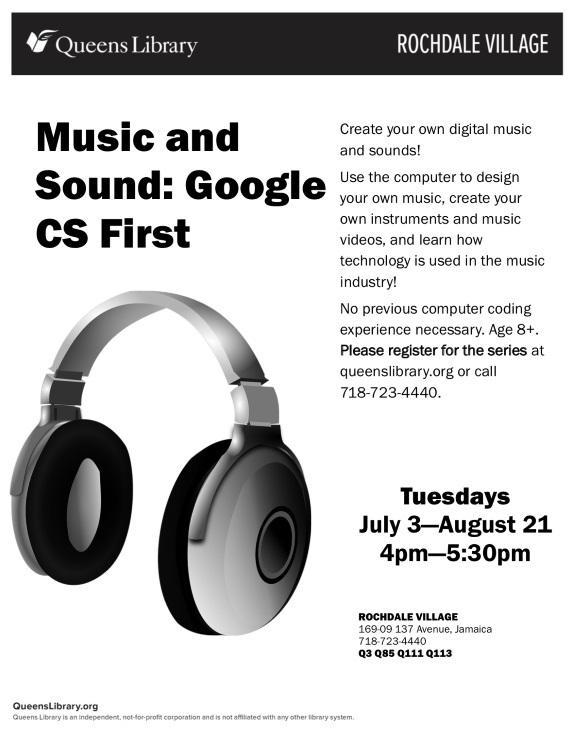 Use the computer to design your own music, create your own instruments and music videos, and learn how technology is used in the music industry! No previous computer coding experience necessary. Age *+. Please register for the series at queenslibrary.org or call (718) 723-4440. Labels: Learn how technology is used in the music industry! The Association of Women Construction Workers of America is holding an open house. One and all are invited. 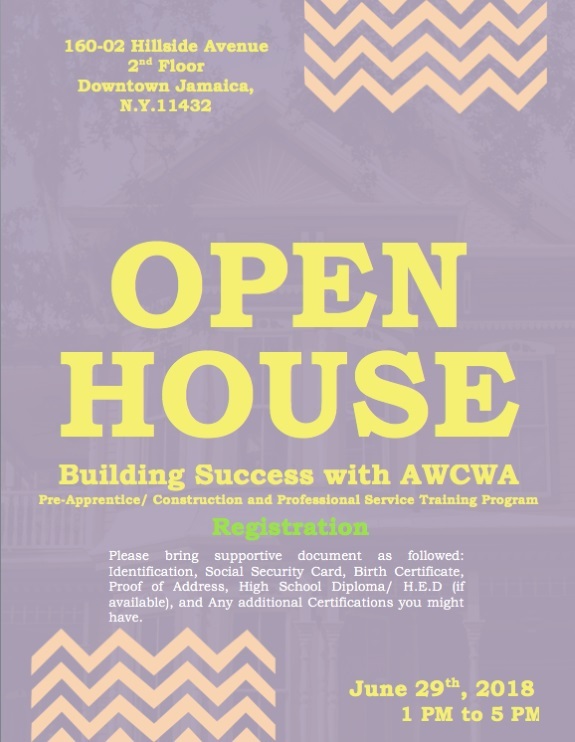 If you are interested in registering for an AWCWA program, then please bring identification, social security card, birth certificate, proof of address, high school diploma / G.E.D., and any additional certifications you might have. Labels: The Association of Women Construction Workers of America is holding an open house. One and all are invited. 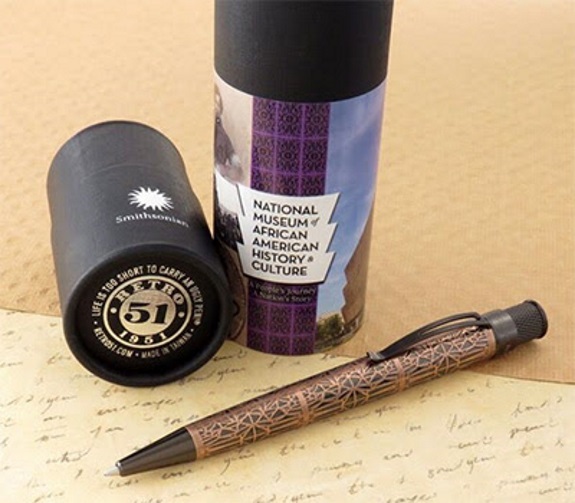 Nationwide -- Retro 51's new Afrocentric Corona pen honors the National Museum of African American History and Culture, which opened in 2016 in Washington D.C.
Labels: New Afrocentric Collectible Corona Pen Celebrates Museum of Black History and Culture. 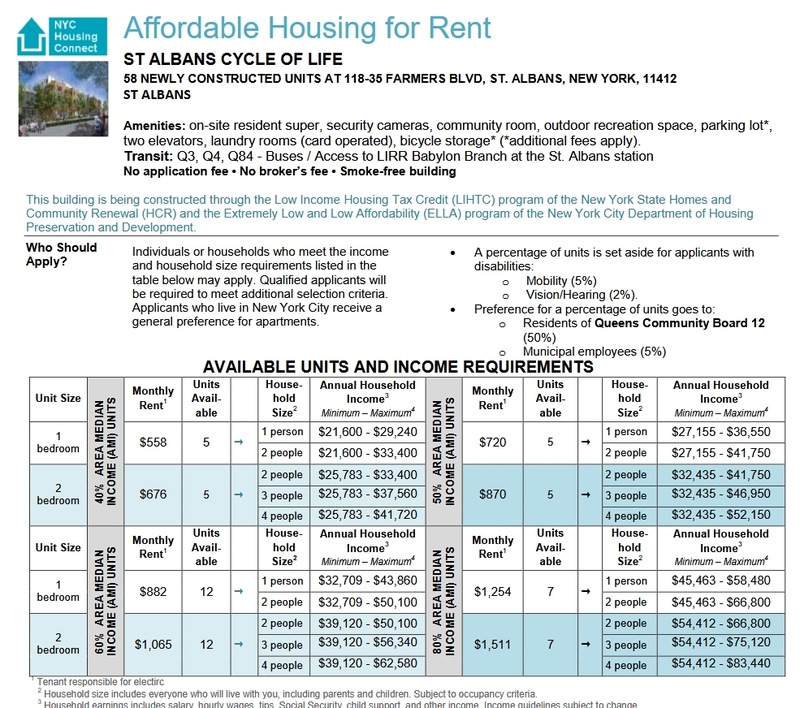 Nationwide --Does institutional racism still exist in America? Is racism in America just a black and white issue, or how does it affect other ethnic groups, and why should they be more involved in the fight against racism? Labels: Racism Panel to Answer Rarely Asked Questions. Las Vegas, NV -- The "New Mr. Vegas" is back. 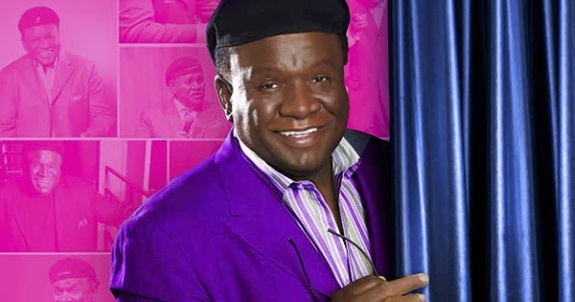 Renowned comedian and longtime star of stage and screen, George Wallace, is returning to Las Vegas with a new residency show at the intimate Westgate Cabaret at Westgate Las Vegas Resort & Casino. Labels: Comedian George Wallace Returns to Las Vegas.